Margaret Ann Hussey Farnlund, 94, of Pocatello, Idaho died November 21, 2018. She was born on March 21, 1924, to Levi H. and Opal D. Hussey at Soda Springs, Idaho. She attended country schools in the Soda Springs and Lava Hot Springs areas and graduated from Lava High School in 1942. When Margaret’s family moved to Pocatello, she attended ISU Vo-Tech until she was offered a secretarial position at Bannock Motors. It was in Pocatello that she met and married the love of her life, Harold Farnlund. They eloped to Twin Falls to be married by a favorite pastor on January 15, 1948. They were married for almost 71 years and remained in Pocatello all their married life. She was a trend setter for women during the 1950’s, 60’s, 70’s, and 80’s as she worked outside the home while raising her family. 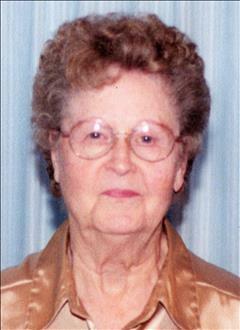 Margaret was a member of the Pocatello United Methodist Church for over 70 years. She and Harold enjoyed square and round dancing, traveling, camping, and fishing with family and friends. She also enjoyed sewing clothes for her daughters and herself. She is survived by her husband and two daughters, Colleen (Jerry) DeJournett of Star, Idaho, and Joyce (Ray) Miles of Idaho Falls. She has 5 grandchildren, 12 great-grandchildren, and 3 great-great grandchildren. She was preceded in death by her parents, one sister, and two brothers.